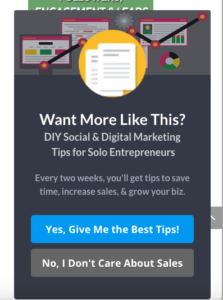 If you don’t have a list of leads—don’t buy one. Paid lists are an outdated practice that will only waste time and money. 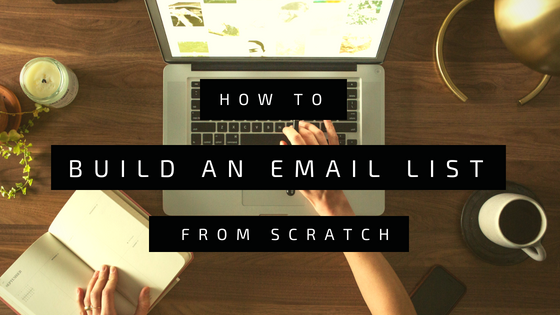 Building an impressive email list from scratch can seem impossible. But there are strategies you can utilize to gather contacts, build a list, and cultivate happy email subscribers. Each page of your website should have a personalized CTA. People who visit your blog or website site are looking for something specific, so your CTA needs to meet those expectations. For example, if people are coming to your website for marketing advice, a CTA such as “Click Here For Our Best 10 Tips” can be effective. In fact, personalized CTAs have a 42% higher view-to-submission rate. 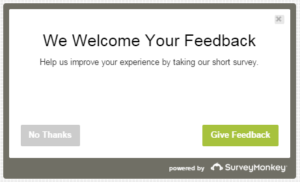 A timed, pop-up survey allows site visitors to get invested in your content before you begin requesting their email address. You can collect emails by reaching out to visitors on specific pages with a survey related to that content. The University of Alberta’s email subscriber list grew almost 500% in one year alone due to timed pop-up surveys. 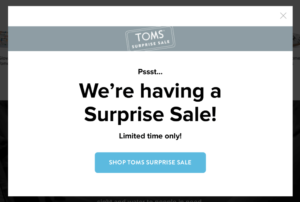 To increase your email subscribers, inject some personality into your CTAs. CTAs with flavor capture attention because it doesn’t seem forced or robotic. The goal is to get the reader to pause for just a moment. Words like “Sign Up” or “Subscribe” sounds like a fast-track to more spam mail in one’s inbox. Instead, outline your CTAs with words that add value. Offer content that is “featured” or “exclusive”. You’re giving readers “Exclusive Access”. This clearly outlines the value someone is getting by accessing your content. Many businesses have a network of interested people that haven’t given up their email addresses. If you have a following on Twitter, Facebook, LinkedIn, or other websites, use those connections to build your email list. People following you on social media already know they like you, but they aren’t necessarily aware of your other marketing efforts. Give them the option. 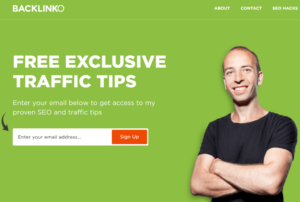 Placing CTAs in strategic areas throughout your website is important. But how do you create a sense of urgency for the lead—the need to sign up now? Using phrases that promote this urgency is ideal. Claim an offer is available for a “limited time only”, tell leads this is a deal they “don’t want to miss”. Web visitors looking at your About Us page typically want more information. They may not be ready to buy, but you can nurture them toward the conversion. Including a CTA for a newsletter signup on the about page allows visitors access to content they’re looking for. It’s also likely to be more effective than pushing a hard sale when the lead is not yet qualified or ready. Is Social Media Actually Beneficial For Your Business?